It is finally here! If you saw my Instagram, I actually received 3 beauty boxes on one day and that is the best feeling I've ever felt in a while now. Unfortunately only two were mine, while the other one was my friend's, Lina. 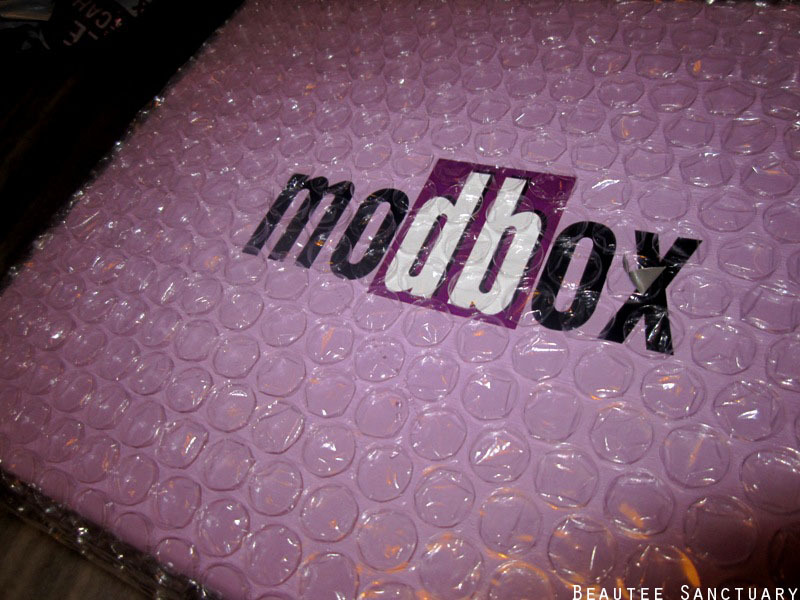 Used bubble wrap, a point for that! Awwww.... look at this, so cute! 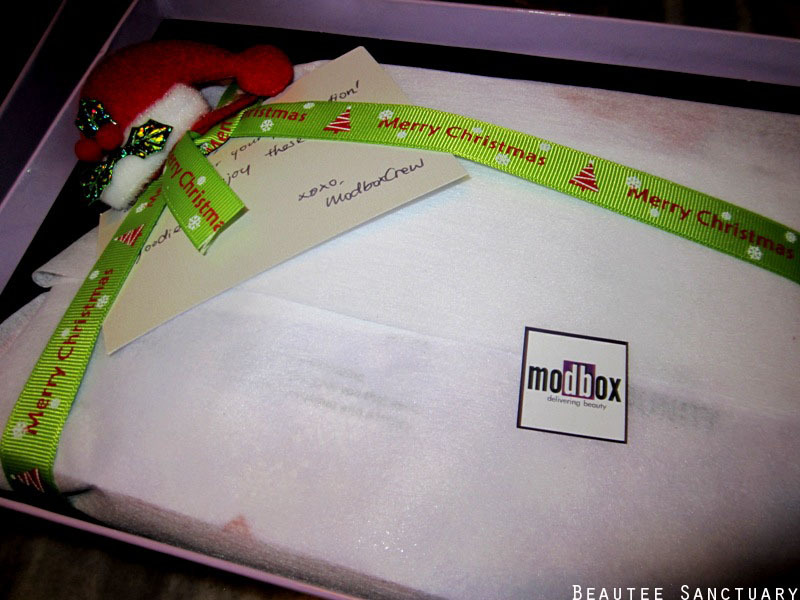 I love the mini santa hat, and the "Merry Christmas" ribbon. Hey look there's a card! 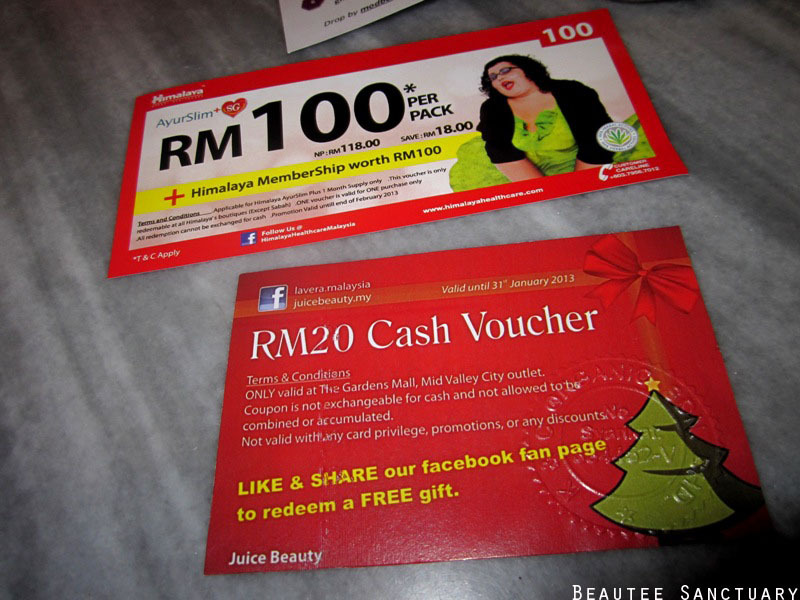 So the first few things I see are these two vouchers. And what's in the box? There are a total of 6 products in the box. 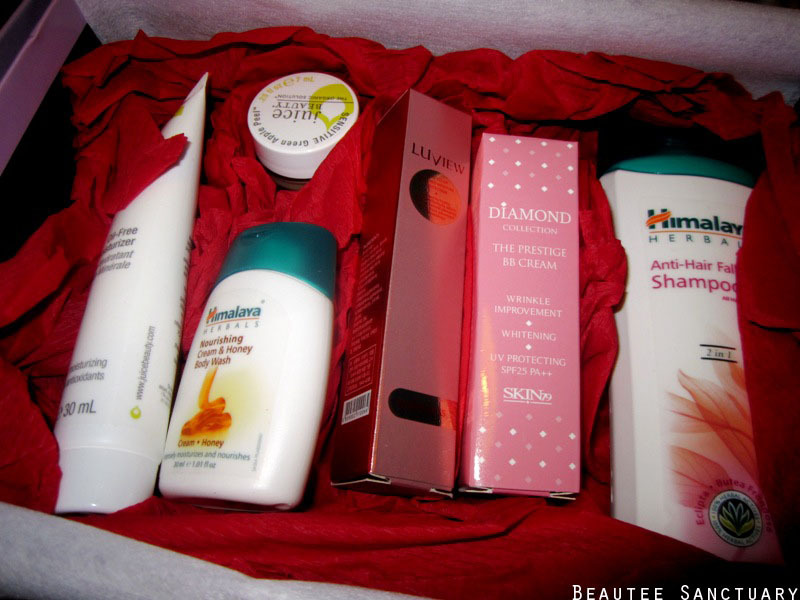 Thanks to their guide card I am able to discover more about the products in the box. The box smells really nice too. :) Let's get in details about each product. 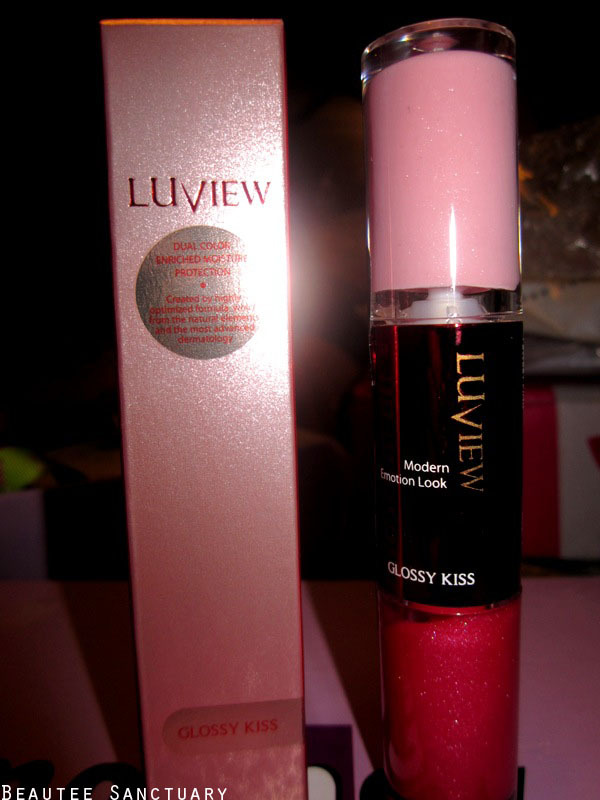 LuView Glossy Kiss (full-sized) - RM36.90. Contains dual colour lip gloss that is able to give a finish look of sweet pink or rosy pink. This easy to glide lip gloss is able to deliver the perfect shine due to the moisture-boosting Vitamin E. I'm not really into lip gloss, but I might give this a try because the packaging is just too pretty to give it a pass! Also, I prefer pink tones than red. Get that great dewy look with a slight of shimmer finish. 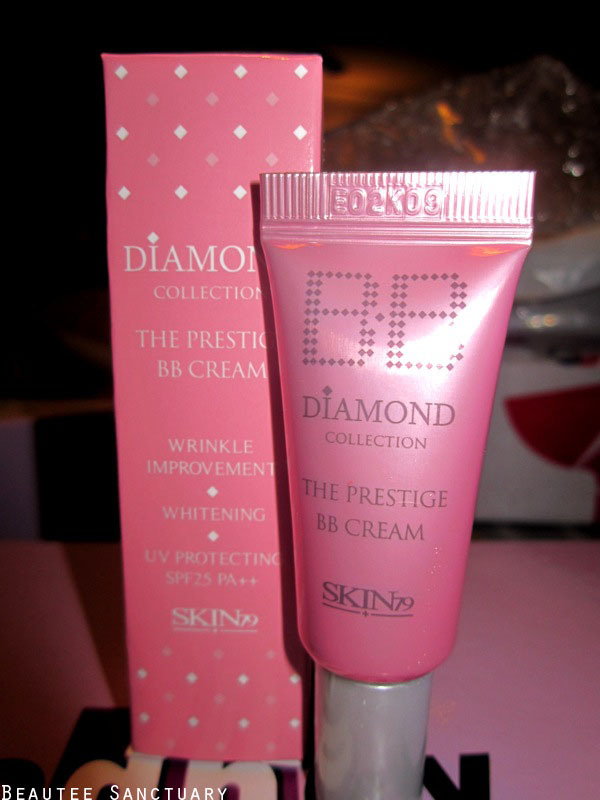 This triple-function BB cream is able to provide medium to full coverage, complete UV protection, whitening and moisturizing effects. I'm a BB Cream user, so i'm really happy and excited to try this product. Have a healthier hair with this breakthrough formula, free from parabens, silicone and SLES. This shampoo nourishes roots and strengthens weakened hair to reduce hair fall due to breakage. I've tried this shampoo and I think they are really not bad and they work too! Check out my review here. Want a soft and supple skin? This herbal formulation with the nourishment of cream and honey will help rejuvenate, moisturise and soothe skin. 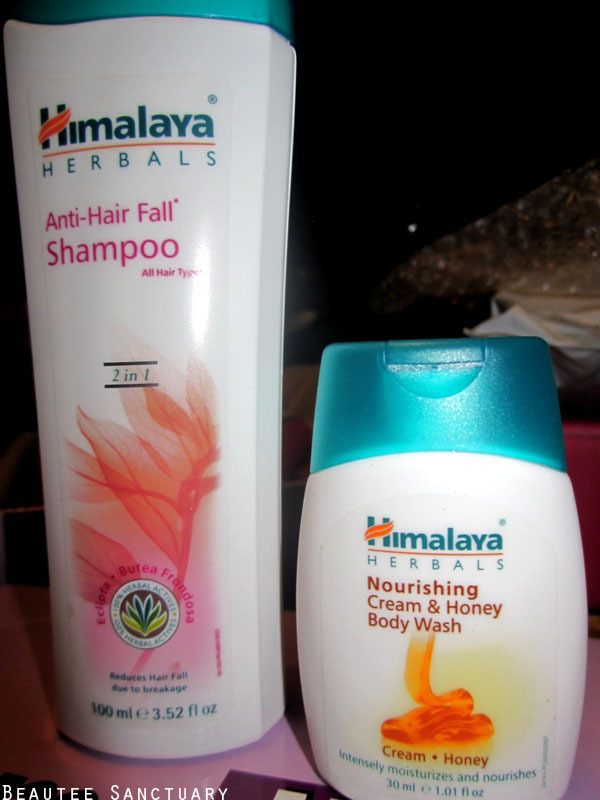 I've never tried Himalaya's products for body wash, but i'm definitely excited to try this one! :) I always preferred natural and herbal ingredients. Bask in the luxury of a brighter, glowing complexion with this best-selling, patented at-home peel. It exfoliates and refines to even out skin tone, leaving your skin feeling completely soft and silky. Can't wait to try this one! Clogged pores, be gone! Packed with organic juices and antioxidants, this lightweight moisturiser feeds and draws moisture to your skin, all without the weight of oils. I'm very happy to have received this as it is what is my skin needs! Really excited to try this product as well! 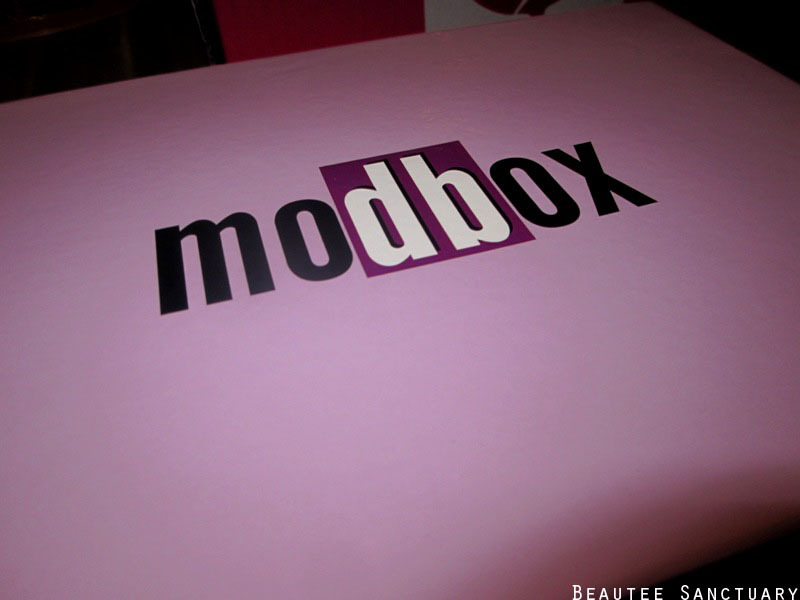 Overall I am very satisfied with Modbox. Can you imagine? All the above for only RM19, even cheaper if you subscribe for 6 months with RM16.50 a month!!! Gosh I've never been happier or more satisfied with a beauty box. 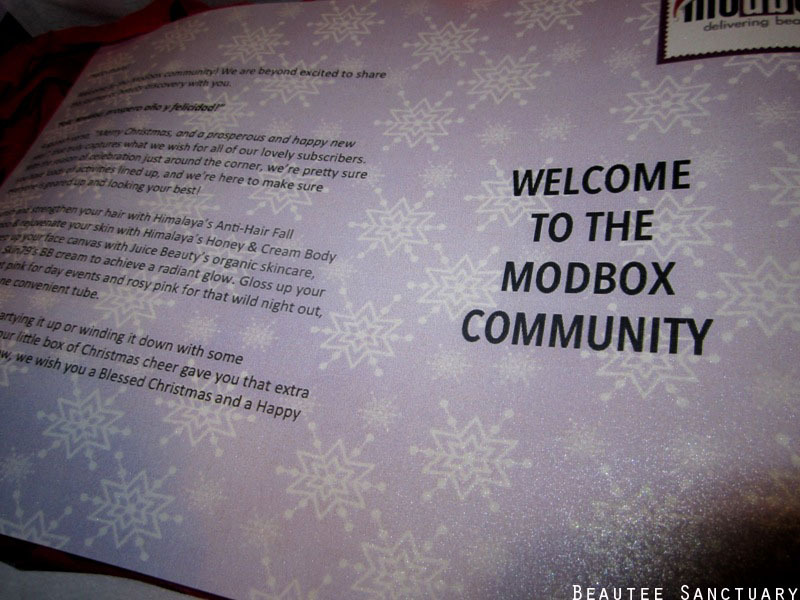 and wound up here "Modbox's December Beauty Box Review".